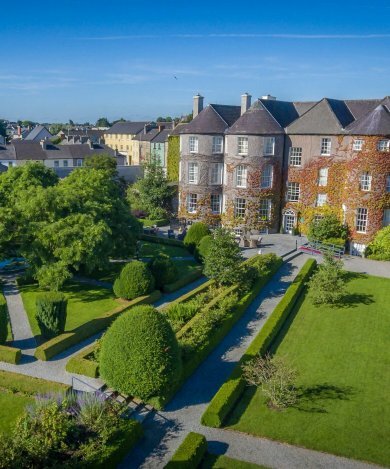 Afternoon tea in Kilkenny is a ritual best enjoyed at Butler House. It has even been said that Butler House serves one of the Best Afternoon Tea experiences in the country! 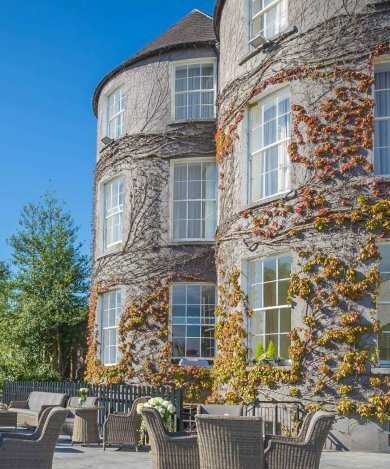 Our guests will enjoy the historic setting of Butler House with the splendour of the large bay windows, original plastered ceilings, crisp white linen, castle views and the finest locally sourced food. Our tea room walls are adorned with magnificent pieces of art from the Basil Goulding Collection. Our Head Chef Gerard Dunne and his team have created a decadent menu filled with sweet and savoury delights, along with a choice of 16 bespoke teas and coffees. Add a glass of Prosecco for an extra special treat. Afternoon Tea is served daily from 12 p.m.- 4 p.m.
We can also cater for groups and special events. You can view our sample Afternoon Tea Menu here. Pre-Booking is essential. Gluten Free options are available (please mention when booking).